Ready to get started? Apply today! Choose the option that applies to your situation. Those interested in pursuing the MAHG or MASTAHG degree should apply for degree-seeking student admission. A completed Ashland University Application for Graduate Admission. Official, original academic transcripts from accredited institutions of higher education documenting all undergraduate and graduate degrees awarded (bachelor's degree level and higher). Additional transcripts may be requested at the discretion of the program chair. A minimum undergraduate grade point average of 2.75 on a 4.00 scale, or a minimum graduate grade point average of 3.00 on a 4.00 scale (a minimum of 12 graduate semester hours are required). A $30 application fee. The application fee is waived for applicants who have previously applied to another master's degree program at Ashland University. A student may be conditionally admitted to the Graduate School with an undergraduate grade point average of 2.25 to 2.75, or a graduate grade point average of 2.50 to 3.00 in a minimum of 12 semester hours of course work. A student accepted conditionally will be monitored over a period of the first 12 semester hours of course work at Ashland in order to determine the student's eligibility for continuation in the program. Admission to the MAHG and MASTAHG programs is conducted on a rolling basis. Generally, applicants should expect to receive a decision within three to four weeks of the receipt of all application materials. Ready to get started? Click here to apply online today. Those interested in taking courses for personal or professional enrichment without committing to the degree program should apply for Non-Degree Guest Student Admission. An official academic transcript from an accredited institution of higher education documenting the completion of a bachelor's degree. A letter from the registrar of the undergraduate institution verifying the degree and grade point average earned. Electronic transcripts should be sent to enroll-grad@ashland.edu. Students admitted on a non-degree basis may take as few or as many courses as they wish and may register for courses in subsequent semesters without reapplying to the Graduate School. Non-degree guest students who wish to become degree-seeking students should make that decision by the time they complete 12 semester hours. Secondary school teachers with an existing master's degree in a field other than history or political science/government who are interested in becoming qualified to teach should apply for non-degree admission. Students enrolled in graduate degree programs at other institutions who wish to take courses at Ashland for transfer to their home institution should apply for admission as a non-degree student. Follow the procedure in the section entitled I want to take one or more classes without entering the degree program (above). 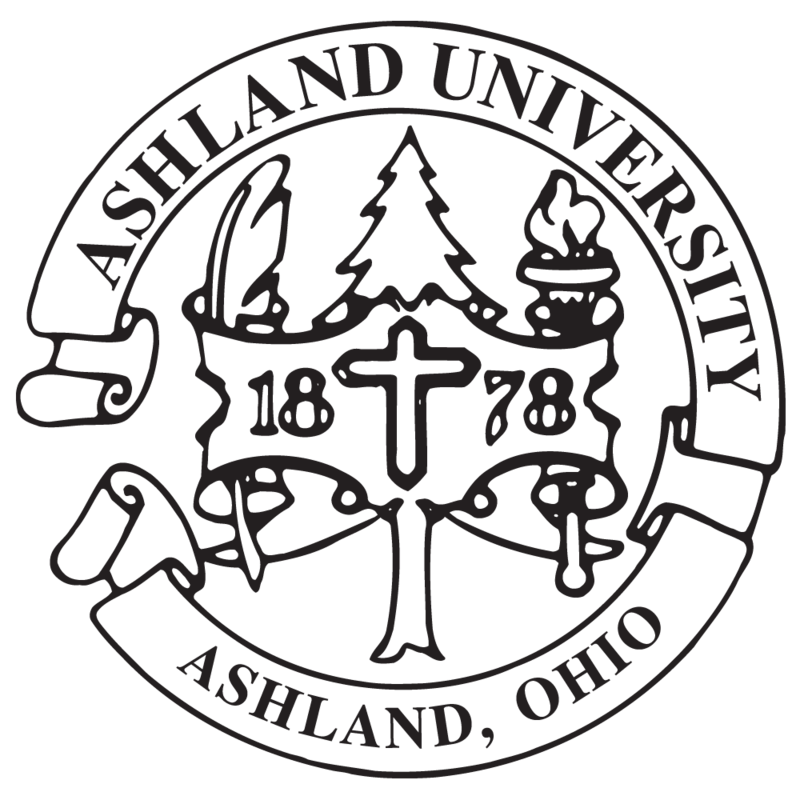 Ashland University undergraduate students majoring in history, political science, integrated social studies education, or international political studies may apply for early admission to the Master of Arts in American History and Government. Students may begin their master's studies after their junior year (the year in which they complete 90 semester credit hours). Students in the five year BA-to-MA program will take master's-level courses (8 semester credit hours) during the summer between their junior and senior years, then resume their undergraduate studies in the fall. Upon completion of their undergraduate requirements the following spring, five year BA-to-MA students will then take an additional 8 semester credit hours during the summer semester then complete their master's studies via online course work during the fall and spring semester after receiving their bachelor's degree. This plan offers students the flexibility to earn a master's degree without postponing their entry into the job market. Interested students should submit their application to the five year BA-to-MA program during their junior year. It is suggested that students make their application in late fall or early spring of their junior year. Complete the Application for Undergraduate Student Admission to the Five Year BA-to-MA in American History and Government and return to the MAHG Program office in the Ashbrook Center (8th floor, Library). Students enrolled in undergraduate programs in history or political science may apply to take courses at Ashland during the summer between their junior and senior years. Exceptionally able undergraduate students with strong backgrounds in American history and government may be permitted to take graduate course work during the summer semester prior to their senior year. Undergraduate students are not eligible to enroll in AHG-prefix courses offered online. Ashland University undergraduate students with a major or minor in history or political science who wish to take graduate level courses in American History and Government during the summer semester must complete the Application for Undergraduate Student Admission to Graduate Courses form. This form must be signed by your undergraduate advisor, the MAHG program co-chairs (Professor Christopher Burkett or Professor John Moser), and the Chair of the Department of History and Political Science (Professor. David Foster). Upon completion, the form should be submitted to the MAHG office in the Ashbrook Center (Library, 8th Floor). Applications must be received no later than May 1st. Students enrolled in undergraduate programs at another university who wish to take graduate-level courses in American history and government as a transient student should complete and submit the Application for Transient Student Admission form. Applications for transient student status are reviewed on a rolling basis. All application materials must be received by May 15th to be considered for the upcoming summer semester.